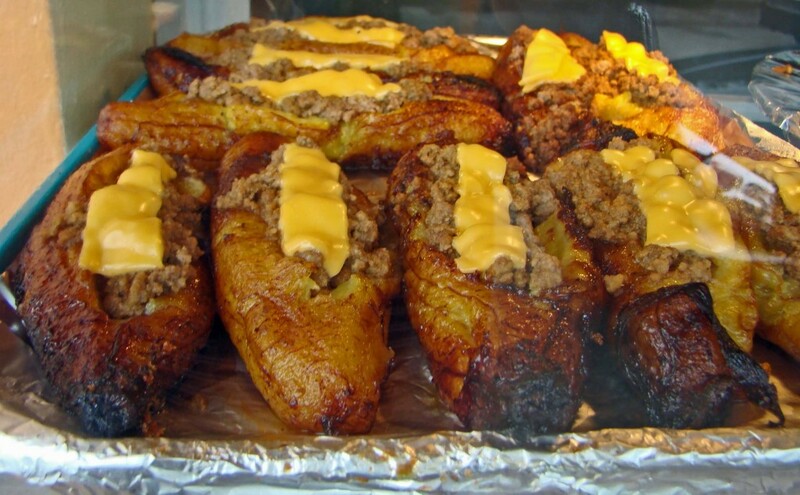 The Puerto Rican foods are very rich because they have several influences –African, America, Spanish and Taino – and mix the Cuban, Mexican and Spanish flavors, besides those influences we can add that the foods of Puerto Rico have influence from Central America, Peru and Brazil, the Puerto Rico foods also have a huge influence from United States foods, for those reasons in the foods of Puerto Rico we can see a huge variety of plates. In the foods of Puerto Rico we can see several ingredients, such as beef, cacao, olive oil, papaya, plantains, pork, rice, wheat, etc. Puerto Rican love to eat soups, the black beans soup is very popular in that island; also the chicken soup with rice is one of the favorite’s ones, others ones are the fish soup, Galician broth and the asopao – that is a typical soup from some of the Caribbean islands. The food of Puerto Rico is prepared with adobo, that is a combination of several herbs and spices that give an unique and special taste that is different to others countries foods, these herbs and spices are cilantro, garlic, lime juice, mint, oregano, pepper, salt, vinegar, onions, etc., it is used for giving a special flavor to soups, rice, meets, stews, etc. Puerto Rican loves stews, like the beef stew and pork stew, Puerto Ricans also like beefsteak with onions, beef tongues, calf brains, chicken, chorizo, eggs, ham, guinea hen, lamb, rabbit, turkey, veal, etc. When Puerto Ricans have parties they use to cook barbecued pig with green plantains – this is one of their favorite’s foods, green plantains are very common in the different countries of the Caribbean islands. Puerto Ricans also likes to eat rice and beans, breaded steak, plantain sandwich, fried green plantains, fried yucca, fried chicken, etc. Puerto Rican also like to cook seafood in different ways, the seafood is very popular in Puerto Rico because they are too close to the sea. The foods of Puerto Rico also have clams, fish, marlin, octopus, salmon, shellfish, shrimp, tuna fish, etc., they also have several vegetables like carrot, cucumber, eggplant, lettuce, onion, watercress, etc., that they use for preparing different types of salad. Puerto Rico is a tropical country, so in its foods we can find a lot of tropical fruits, such as avocado, banana, coconut, cucumber, lemon, lime, mango, orange, papaya, pineapple, tomatoes, watermelon, etc. Desserts are very popular in Puerto Rico, they like banana cake, jelly, sweet-potato, orange cake, fruit cocktail, coconut cream, pudding, etc., we also can find interesting drinks in the foods of Puerto Rico, they have banana milk, black coffee, beer, kola champagne, piña colada, spiced cherry and rum. As we can see the foods of Puerto Rico are very mixed because of the different influences that they have, giving to them a huge variety in all their different areas, for that reason we can confirm that the Puerto Rican foods are one of the ones that have more variety in the Caribbean islands. The foods of Puerto Rico are not just very popular in their country and in the Caribbean Islands, they are also huge popular too in the United States, especially in New York and Chicago. The foods of Puerto Rico are of the biggest represents of the Caribbean islands and Antilles foods. This post by Alice Viers and he represent http://www.grammarbase.com/ We will help you to check your grammar and to write without any mistakes.